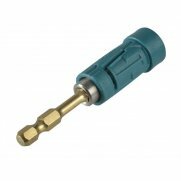 4 x 25mm Phillips Bits: PH1, PH2(2) & ;PH3. 4 x 25mm Pozi Bits: PZ1, PZ2(2) & ;PZ3. 4 x 25mm Slotted Bits: 3, 4, 5 & 6mm. 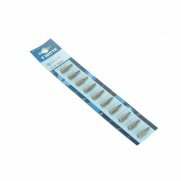 8 x 25mm Torx Bits: T10, T15, T20, T20, T25, T27, T30 ;& T40. 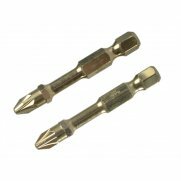 7 ;x 25mm Tamperproof Torx Bits: T10, T15, T20, T25, T27, T30 & ;T40. 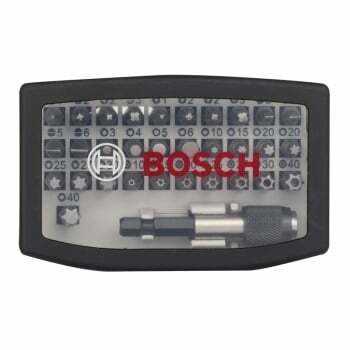 1 x ; ;Quick-Change Universal Magnetic Holder.